Manufacturer of a wide range of products which include flour shifter. Flour Shifter for easy use in daily life. Made With Heavy Plastic Material. 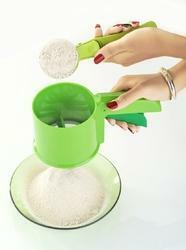 It is very useful for for shifting flour .